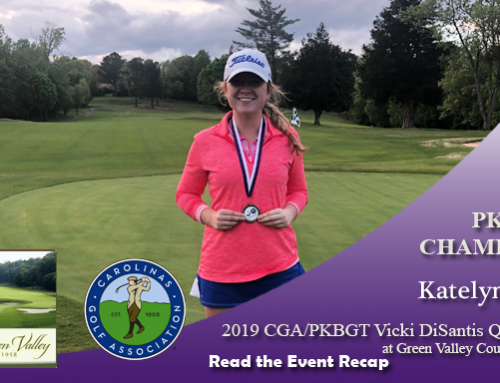 On April 7, 2018 the Peggy Kirk Bell Girls’ Golf Tour played round 1 of the PKBGT MASTERS presented by Aunt Ruby’s Peanuts at Greenville Country Club in Greenville, NC. 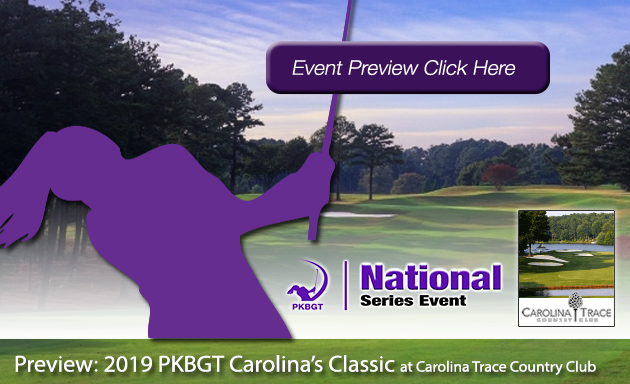 Greenville Country Club, home of the East Carolina University Pirates women’s golf team, is a classic course for this two-day tournament. 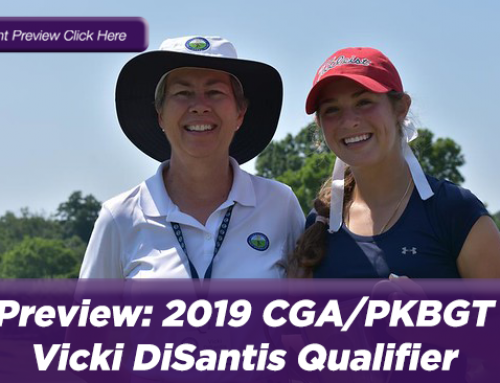 The event features a field of 69 players from the PKB Girls’ Golf Tour, the nation’s largest “girls’ only” junior tour. 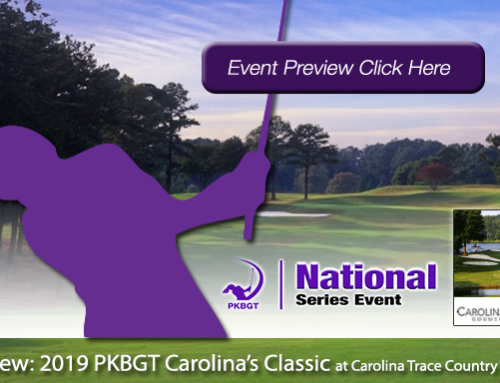 The PKBGT MASTERS at Greenville Country Club brings together players from Delaware, Georgia, Louisiana, Maryland, New Jersey, New York, North Carolina, Pennsylvania, South Carolina, and Virginia. 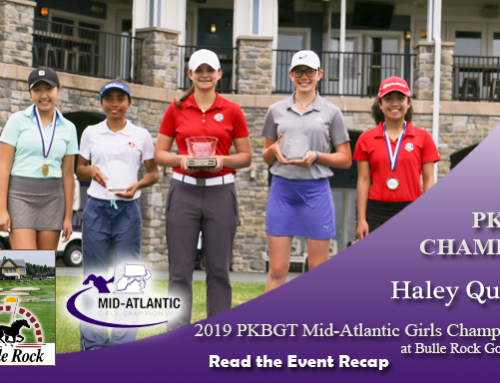 All divisions were able to complete 18 holes on Saturday; however, due to weather, the Bell National Series was not able to complete the intended 36 holes for round 1. 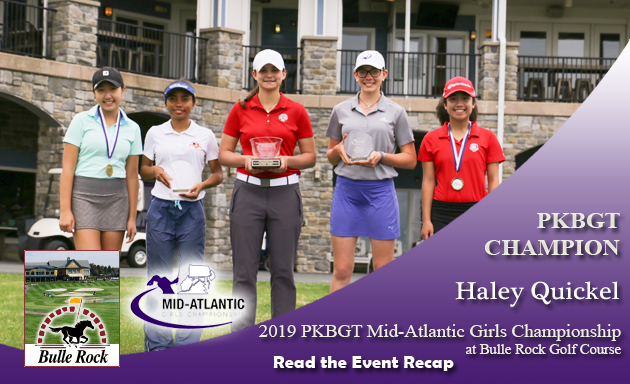 Leading the Bell Series after round 1 of the PKBGT MASTERS are Riley Hamilton (Reidsville, NC 2020) and Ryann Sinclair (Mooresville, NC 2019) both with a score of 2-over par, 74. Just 1 stroke behind the leaders is Melissa Meng (Blacksburg, VA 2020) with a score of 75. Skylar Sload (Ashburn, VA 2018) currently sits in fourth place with a score of 76. 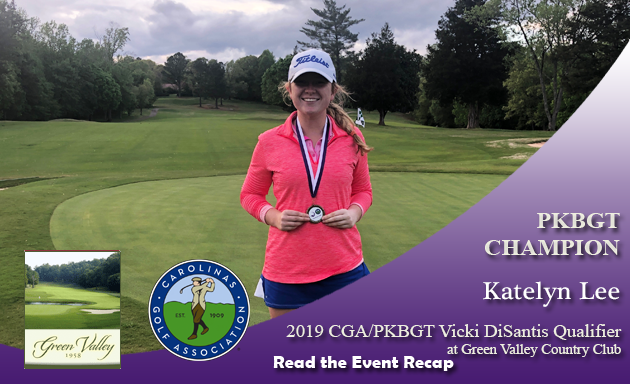 Currently in a tie for fifth place with a score of 77 are Kelley Topiwala (Matthews, NC 2020), Kendall Turner (Chesapeake, VA 2019) and Lauren Freyvogel (Gibsonia, PA 2019). 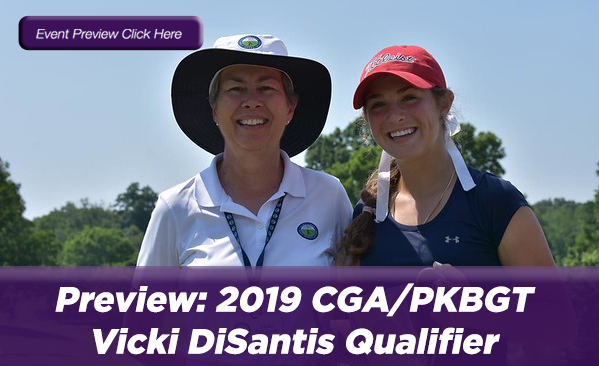 Leading the Prep Preview Series after round 1 is Carly Whittington (Kinder, LA 2020) with a score of 4-over par, 76. Just 3 strokes behind the leader in a tie for second place is Halynn Lee (Cary, NC 2021) and Trinity Muthomi (Kernersville, NC 2022) both with scores of 79. Currently in a 3-way tie for fourth place are Katie Park, (Fairfax, VA 2022), Ella Kue (King Mountain, NC 2023) and Annabelle Jennings (Chesapeake, VA 2020) all with a score of 80. Leading the Futures Series after round 1 is Liza Lapeyre (New Orleans, LA 2022) with a score of 5-over par, 77. Just 1 stroke behind the leader is Natalie Martinho-Stansbury (Raleigh, NC 2020) with a score of 78. 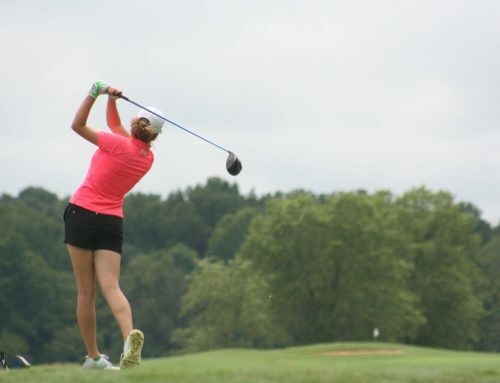 Megan Morris (Cary, NC 2021) currently sits in third place with a score of 80. Currently in fourth place with a score of 81 is Reagan Southerland (Atlanta, GA 2023). Sitting in fifth place is Amelia Cho (Ashburn, VA 2024) with a score of 82. Round 2 is scheduled for a 10 AM double tee start, weather permitting. It is going to be an exciting finish! Who will be golden?